A second dockless scooter company is now operating in Raleigh. 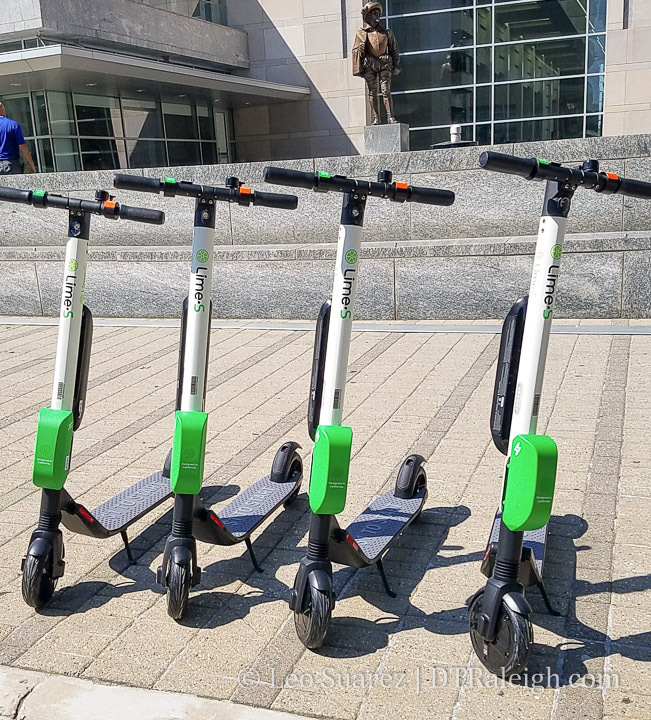 Lime has brought their electric scooters to the area and just like Bird have them concentrated in the downtown area. Lime technically gets the award for the first dockless provider in Raleigh with the launch of their bikes around the NC State area. You might occasionally see them downtown but not reliably from my experience. That’s kind of by design since they were launched in a partnership with the university and not the city. This makes two scooter companies operating in the area which expands the overall number of vehicles, providing more choice to the end user. As of this writing, the city is drafting dockless scooter regulations so the drama over this new form of transportation may not be over.